Two magical evenings at the Wigmore Hall, thanks to a friend’s generosity (thank you, Paula)… Mark Padmore (tenor) sang Schubert’s two great song cycles, Die Schöne Müllerin (‘The Fair Maid of the Mill’) and Winterreise (Winter Journey). After fifty years of Dietrich Fischer-Dieskau, we are used to hearing our Schubert songs sung by a baritone, in low keys, with perhaps exaggerated ‘expression’ and rather muddy piano accompaniments (played on a clanky modern Steinway, of course, rather than Schubert’s very light Viennese pianos). To hear them sung by a tenor is a revelation: there is a lightness and airiness in the vocal lines, with top notes becoming true clarion high points in the drama, offset by Mark Padmore’s warm baritonal lower register (the vocal range of these songs, particularly in Winterreise, is enormous). And the lighter texture of the accompaniments in higher keys is a breath of fresh air, even on the modern piano. 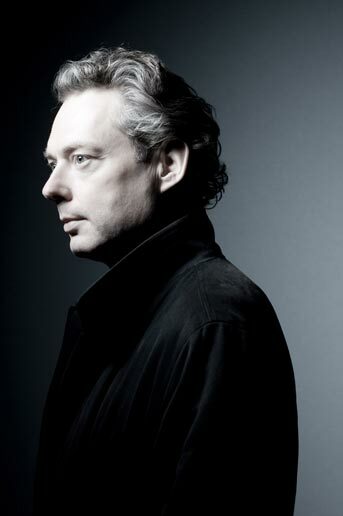 Mark Padmore is better known for his ‘early music’ – Rameau, Lully, Handel, and above all the Evangelist in Bach’s Passions. So Schubert is a big step into the unknown for us, if not for him (in his illuminating programme notes he tells us that he has known and studied these cycles all his life). His performances were masterly. His stillness and concentration were most affecting, and frequently appropriate to the near-catatonia of Schubert’s first-person protagonists; his range of expression was powerful and moving, the more so by being firmly controlled and never degenerating into ‘emoting’ or drawing attention to the singer instead of the song. It’s on Saturday… This is going to be a great concert! St Cyprian’s, Glentworth Street, is a nice Victorian* church a few minutes’ walk from Baker Street underground station. Jonathan Dove‘s ‘Airport Scenes’ is a suite of instrumental movements from his amazing opera ‘Flight’ (1998). Very bright and sparky, ear-catching and very easy to listen to, tricky to play but exhilarating. Rimsky-Korsakov’s ‘Scheherazade’ I don’t need to tell you about – it’s just the most glorious piece of exotic and colourful orchestral music ever written! And there are some great violin solos from Catherine. *I see from their website that St Cyprian’s is not quite Victorian: designed by Ninian Comper, 1903.
note: Böcklin painted at least two versions of ‘The Isle of the Dead’. The one shown is the later (1886) version, now in Leipzig. The earlier (1880) version, in Basel, is darker and even more atmospheric, but would be harder to reproduce on here. Well… sorry about all those deadlines I was supposed to be meeting today – but I couldn’t face being stuck indoors (it was a public holiday). Having checked the weather forecast and discovered it had upgraded from ‘probably rainy’ to ‘mostly fine’ in the South-East, I hopped in the car (which also welcomed the chance to stretch its legs) and whizzed down to Sussex for my favourite walk, up and over Seaford Head, with the fabulous view of the Seven Sisters on the other side. The thinnest of cloud and the lightest of breezes ensured the sun was not too blazing hot. I travelled light – no jacket or sweater, no bag, no camera, just my phone. I was well rewarded; it was a glorious day, Seaford very quiet, a classic Monsieur Hulot-ish slightly eccentric unfashionable seaside resort. Not many people about, apart from a coach load of Italian kids, singing, on a guided tour (when they weren’t singing they were being earnestly lectured by a tall gent in a long red coat, looking oddly like an escaped Cardinal. But I digress). Up on the clifftop path I was assailed by multitudes of flying insects. No rabbits though (but plenty of evidence that they were about). Rooks and seagulls everywhere, even sparrows (a rare sight these days), and some very pretty slim beige and brown bird which obligingly perched on the cliff edge before flying off and revealing a fetching white bum; the bird book in the back of the car suggests it’s a Wheatear (female and/or in winter plumage). I feel honoured. And the skylarks! They are supposed to be a vanishing species too, but fortunately no one has told these chaps, who were singing their little hearts out ‘in profuse strains of unpremeditated art’, as Shelley described it. I watched one skylark take off, and followed its soaring, singing flight until my neck ached and I began to think passers-by would think I looked like an idiot. But as I walked on I could still hear it, hundreds of feet above me, for several minutes, until its song was lost among half a dozen others. At the far end of the walk, instead of going down to the rather grubby beach (which I gather is called Hope Gap), I turned inland a bit, looking (in vain) for a viewpoint from which to see the sinuous curves and oxbows of the Cuckmere River. My eye was caught by a triangular cairn I’d never noted before. It turned out to be a war memorial, complete with faded poppies and crosses. A plaque described how a company of Canadian soldiers in World War 2 had camped out in the valley, heedless of warnings that they were under the flight path of German bombers. The next morning, sure enough, two Messerschmitts destroyed them all. The Captain was shaving in one of the coastguard cottages, and was killed instantly ‘when a bomb came through the wall that held his mirror’. A sad bit of history. More details here, with the text of the plaque – the writer has had the same experience as I have just had!